Using real-life experience in the field, our research and development department desings and produces automatisms to offer breeders an effective answer to the challenges with which they are confronted on their farms. The processes developed are constantly evolving, their ergonomics optimised, their technology accessible and easy to use. 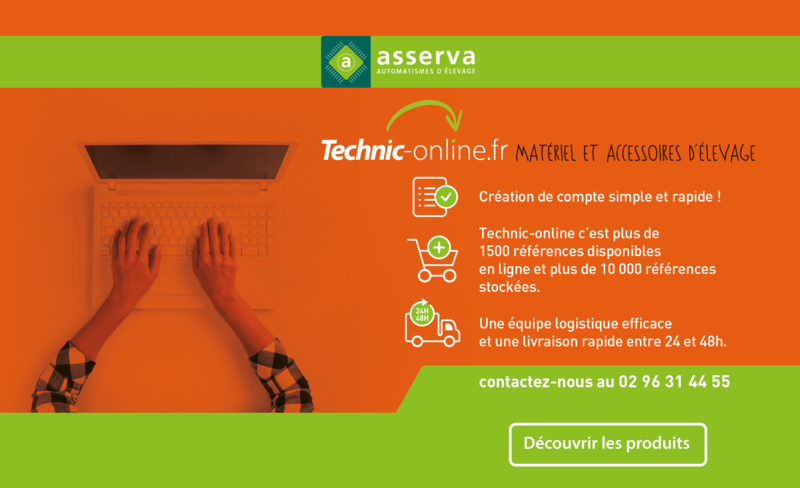 Asserva is quick to respond concerning its range of products and takes on board improvements suggested by its customers. Now, Asserva detcts pathologies at early stage with its new Pig Track feeder, and offers a total traceability of your animals. Our team is made up of ten experienced engineers and technicians to anticipate your needs for the future. 16 innovation awards in 7 years. 2013 Côtes d’Armor Business Innovation Award. Feeding of dairy calves in DAL (Automatic milk distribution) – RFID technology since 1995. Modular boxes in a livestock building (Modul area).